Spring Training Stout is a foreign extra stout I brewed for Saint Patrick's Day. It is not a clone of a particular beer, but it was strongly influenced by Guinness Draught. One of the things that makes Guinness Draught unique is that it is believed a small amount of soured beer is blended in after fermentation which gives the beer a slight tartness in the finish. I imagine this would replicate the stouts of old that were stored in wood barrels that may or may not have exposed the beer to other organisms that could effect the flavor. The easiest way to replicate the sour kick is to add acidulated malt to the beer. When I realized I was out of acidulated malt on brew day I drew off a pint of unfermented wort to sour before blending back into the rest of the beer. Before blending the soured beer I boiled it to kill whatever it was that soured the beer lest the entire batch become infected. The soured beer didn't smell or taste like rotten eggs. The sourness had a similar intensity to sweet and sour sauce from Burger King. When boiling off the sour beer, the aroma from the steam filled our entire apartment. It wasn't unpleasant, but it was noticeable. I blended the sour beer in with the rest of the wort about three to four days before bottling to insure an equal and even distribution. The sourness was present in the aroma, along with the expected chocolate notes from the roasted barley, and a hint of diacetyl which in this type of beer is not inappropriate. The appearance was black, with a cream colored head with fair retention. The beer has medium high carbonation, but it felt a lot lower due to the full body of the beer. Mashing at a high temperature and generous amount of flaked barley gave the beer a fullness and a substantial mouthfeel. The beer was very smooth which is exactly what I was going for. The fullness of body did not hurt the drinkability at all. The sour beer was prominent in the flavor, especially up front. It was more of a sweet and sour flavor, than a puckering type of sour you would expect in a Belgian sour like and Oud Bruin. The roasted barley did provide some balance and dry out the finish. I didn't dislike the flavor, but I am not sure I got the balance quite right. Using a little less sour beer, or more roasted barley may well get the flavor where I wanted it to be. I will submit this in an upcoming homebrew competition to get some additional feedback. Pa's Video Board Lager is a beer Andy and I have brewed the last two years in his memory around his birthday on November 1 to serve at our family Christmas party. This year I also brewed a beginner version for Learn to Homebrew Day which fell on Pa Chalifour's birthday. I have been waiting to do a side-by-side tasting to compare the two beers. The version I brewed with Andy used an all-grain brewing method with no malt extract. We milled and mashed the Belgian barley, converting the starches in the grain to the fermentable sugars that became the alcohol in the beer. We used WY2112 California Lager liquid yeast, and I made a large yeast starter to make sure there were more than enough yeast cells to give the beer a clean and crisp lager taste. I also adjusted the water chemistry of the water we used to mash and sparge. After fermentation was complete the beer was kegged and force carbonated with CO2 from a tank. The beginner version was not just replacing the base-malt in the original recipe with malt extract. The entire recipe was reformulated to be as easy to brew as possible. The grist was all extract, not even a small amount of specialty grains to steep. Instead of pitching a large starter of liquid yeast, the recipe took one small packet of Nottingham dry yeast. After fermentation the beer was bottled and bottle conditioned. The finished beers were vaguely similar, but quite different. The beers illustrate the pros and cons of extract and all-grain brewing. The beginner version is on the left, the for lack of a better term advanced version is on the right. Both beers finished with brilliant clarity. The beginner version with extract is noticeably darker which exposes one of the limitations of malt extract. It is a byproduct of the production of extract at the factory. The beer will taste the same, you just can't necessarily make "golden suds" if you are using extract exclusively. The advanced version had a crisp hop aroma, complimented by a cracker-like aroma from the malt. The beginner version had more of an estery aroma from the ale yeast with a slight perception of alcohol. The relatively high strength of the beer probably caused the wort's temperature to increase during fermentation causing more ale-like aromas and flavors. The advanced version had a clean and crisp flavor. It tasted like a fresh, Euro lager. It was decidedly light bodied. When brewing all-grain a brewer has much more control over the body of the beer than with extract brewing. The beer also finished much lighter than I had intended due to our poor brew-house efficiency. That is we did not extract as many fermentable sugars from the grain as we had expected. Efficiency was not an issue with the beginner version since the extract already has all the sugars extracted. This made the beer decidedly maltier than the advanced version. There is a green apple flavor, not necessarily acetaldehyde, but it did give the beer a different flavor. The medium body and noticeable alcohol reminded me a little of Bud Ice. In hindsight the extract could have been dialed back a bit. A swamp cooler like I used when brewing The Sustenance would have helped make sure the fermentation temperature was at the lower end of the yeast's range and given the beer a cleaner flavor. This isn't to say the beer is bad, it just could have been better with a couple of adjustments. After we brewed the Pa Lager my dad told me that Pa Chalifour actually dabbled in brewing himself with one of his neighbors. Homebrewing was probably still illegal in those days. I can only imagine what kind of beers they brewed and what kind of ingredients they used. It just makes brewing a beer in his memory that much more appropriate! Local beer lovers are fortunate that BeerAdvocate runs two major festivals in Boston. The American Craft Beer Fest (ACBF) is one of the largest beer festivals in the country. Last year we went for the first time and thoroughly enjoyed it. This year's ACBF is set for May. Depending on how much money I have left from my upcoming vacation we may well go again this year. 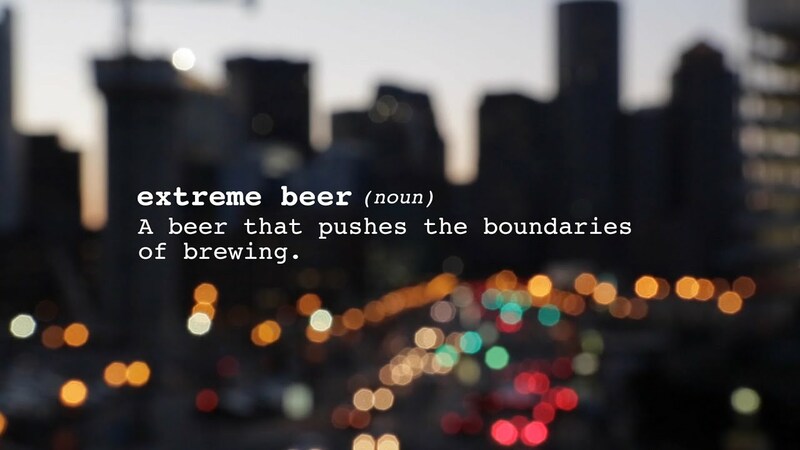 "Extreme Beer Fest is the ultimate throwdown of craft beer creativity. Join us as we celebrate brewers who push the boundaries of brewing and raise a fist at the norm. Minds will be blown. Palates will be inspired. Prepare for epicness." Where the ACBF is a chance to try lots of different beers and breweries, Extreme Beer Fest features less beers, but more rare beers. This year's EBF featured several breweries that don't distribute to Massachusetts like Revolution Brewing, Funky Buddha Brewery, and Cigar City Brewing. Norman Miller, Wicked Local's beer blogger wrote a great post with advice for attending beer festivals. To that I'll add that pretzel necklaces are a must. It will help you stay sober and cleanse your palette between beers. After awhile the lines for food will get out of hand so having a snack around your neck will come in handy. Plan out if you can what rare beers you want to try first. We knew we wanted to try Tree House Brewing first. We made a beeline to their stand. The one beer they were pouring, Good Morning might be the best imperial stout I've ever had. Thankfully we went there early because they ran out of Good Morning before the end of the session. I'm sure there are legitimate reasons Tree House only brought one beer and didn't bring enough, but that still kind of stinks for people who paid $50 to attend a festival. The other advice I have is to not to spend too much time waiting in line for the super rare and popular stuff. Make it a point to visit and try the breweries with short or no lines. Otter Creek Brewery had almost no line, and Sunshine Daydream a White IPA may well have been the hidden gem of the festival. In January of last year we were at Beer Summit at the Park Plaza Castle. We tried some beers from a tiny brewery from Amherst with no line that nobody had heard of. Their beers were all excellent and we chatted with the brewer who was pouring for about five to ten minutes. By the time the ACBF came around the following summer High Horse Brewing had one of the longest lines there. By visiting one of the overlooked breweries at a festival you can be one of the first to try the next big thing. When you try that many beers in a short period of time they all blend together. Even when you are tasting so many big and unique beers like at EBF. After attending a festival it is logical for others to ask what beers you had and what you liked, but for me at least it is a very difficult question to answer. On Monday I went through my Untappd check-ins to rehash what I had on Saturday. Looking it over again I did remember most of them. It must be what it's like for a parent to look through photo albums of their children. There were too many great beers to list, here's the best way to see what I had and how I rated them. There really wasn't one beer that got my wheels spinning as a brewer. I did leave asking myself if I am pushing the envelope and experimenting enough as a brewer? I probably did too much experimenting too soon when I started brewing before I really knew what I was doing. So far this year I have revisited several styles I hadn't brewed in two years and have been simplifying a lot of my original recipes. 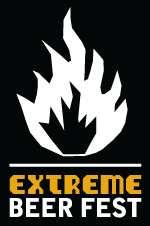 Maybe after this back to basics approach I have been taking I'll have a stronger foundation from which to experiment or to make a beer that is "extreme". Around the time I was preparing for my Beer Judge Certification Program (BJCP) written and tasting exams, I skimmed through the updated draft 2014 guidelines. The updated guidelines have not been implemented yet and are still under review. Competitions are still using the current 2008 Guidelines, and by the time the new guidelines are approved and implemented they will be christened the 2015 BJCP Guidelines. The new guidelines have several new and additional styles that were are not included in the current guidelines. One that caught my eye was English Golden Ale. Brewers in England created the style in the 1980s to compete with mass-market pale lagers that threatened the existence of traditional British ales. Light in color, the beer is designed to appeal to a lager drinker, but it is hoppy like an American pale ale. Many brewers in the UK started to release Golden Ales seasonally in the summer. Locally Ipswich Summer Ale fits most of the criteria for the style. The wort has a nice gold color already and will clear after fermentation. Summer is my favorite season, but too many summer beers are too similar. The idea of making something different than another Sam Summer-like beer has always appealed to me. The more I read about the style, the more I wanted to brew it. After brewing and Irish red and stout I had plenty of Irish Ale yeast; all I had to do was order some extra Irish malt and hops. I am curious the flavor the Irish base-malt will provide in a beer where there isn't specialty or roasted malt dominating the malt flavor. After seeing the impact that a small addition of corn had on the Welkin Ringer ESB and in cream ales I've brewed in the past, I added a small amount of flaked maize to lighten the color and body of the beer just a little. The grist is mostly Irish barley, with a small amount of corn. The toned down malt-flavor should hopefully allow the esters from the yeast to be more prominent as well. White Labs claims their Irish Ale yeast makes a "very interesting pale ale"; we shall see! I was tempted to use a higher yeast pitching rate like I would for a light hybrid style like cream ale or kolsch. I also thought about fermenting at a cooler temperature after reading about how Guinness used their house ale strain at lager temperatures in Guinness Blonde American Lager. Depending on how this beer comes out I could very well try those things in the future. The relatively simple malt profile of a golden ale tilts the balance toward the hop flavor, and usually the beer showcases the flavor and aroma of a single hop variety. Many brewers in England are using American hops in their golden ales. In my mind if I used an English-type hop like Fuggle or Williamette my beer would taste like an Ipswich Summer or Shipyard Export. I wanted my beer to be unique and to use a new distinctive hop I had not used previously. The Galaxy hop from Australia has notes of tropical fruit and citrus; perfect for a summer beer. If it is anything like Galaxy Dry Hopped Fort Point Pale Ale, I'll be onto something. Three hop additions, 60 minutes for bitterness, 10 minutes for flavor, and at flame-out for aroma. When it is winter in the U.K. and Ireland, it is summer down in Oz as they call it down under. When it is winter in Australia, the British Isles will occasionally receive a glimmer of sunlight. It is always Summer Somewhere, except maybe in Massachusetts. In the words of the late 20th century philosopher Ace Ventura, "Loo-hoo, serr-herr". This stuff was bad. I brought three of these to a gathering of a bunch of friends from Peabody, had a few sips, dumped the beer, and then dumped the rest when I got home. The beer poured copper in color; much too dark for a pale ale. There was no discernible hop aroma from what was supposed to be a hoppy beer. The taste was overly metallic. It was like licking an Easton. Brewed in late November, the beer shouldn't have spoiled. The likely culprit is old malt. Specifically, the crystal malt I steeped. Before I bought my grain mill, I ordered my malts pre-milled, and once grains are milled their shelf-life decreases dramatically. In hindsight swapping out un-milled Special B for old pre-milled Caramel 120 malt saved my Irish Red. I've gotten away from the one and two gallon batches I brewed a lot of in 2014. Putting in the same amount of work for 20%-40% of the finished beer wasn't starting to feel worthwhile. I would put off racking and bottling of the small batches because I couldn't work up the motivation. The Ballantine IPA clone I brewed last fall was actually pretty decent, but I waited much too long after dry-hopping to bottle and the finished beer was lacking in hop aroma. It can be challenging enough to dial in a process when brewing the same size batch with the same equipment every time. After having my new kettle for a few months I have a pretty good idea of how to hit my numbers every time. I will treat six gallons of water. I will usually use water I ran through the wort chiller on the last batch. Depending on the volume of grain I am mashing I will use around four and a half gallons for a sparge-less, brew-in-a-bag mash. I finally have a feel of how to hold my desired mash temperature by manipulating the burner on my stove. After the boil I usually end up with right around 5.25 gallons of wort. The obvious benefit to brewing full, five gallon batches is having more beer. As the weather warms and summer outings loom, having more beer to share is even more important. Peabody Pale Ale was a throwaway batch brewed on a whim. Unfortunately I literally had to throw it away. My cousin and occasional brewing partner Andy received the book IPA, written by Stone Brewing Co. Brewmaster Mitch Steele as a gift. Around a year ago we were spitballing ideas of what to brew for our next brew day. After reading the book he suggested red IPAs. Intrigued I suggested we both come up with our own interpretations, then pull a small amount of each and blend them. Andy's Cabot Street Red RIPA had a fair amount of flaked rye. From what I recall the spiciness of the rye worked nicely with the sweet caramel malts which gave the beer it's red color. Anticipating that Andy would design a hop forward beer, I sought to make a more balanced brew as a counterpoint. For Curt's Red Sock IPA I used English Pearl base malt, similar specialty malts that I had used in a previous Irish red, and London Ale 1318 yeast to give the beer a fruity finish. Where the beer fell short was in complexity of hop flavor. This was the second IPA I had designed from scratch and in hindsight didn't know what I was doing. The dank Simcoe hop flavor dominated, which along with the roasted barley in the grist made the beer finish quite dry. The beer was good, but it didn't have the flavor I was going for. Almost immediately I started tinkering with the recipe in anticipation of a re-brew. Over time I looked at ingredients for other hoppy red ales that I like including Maine Beer Comapny Red Wheelbarrow, Troegs Hopback, and Bissell Brothers Bucolia. When Northern Brewer released a limited edition North Coast Red IPA kit I gave serious consideration to purchasing the kit after my experience brewing the Welkin Ringer ESB kit. In the end I reviewed the recipe, compared it with the ideas I had been working on, and decided to brew an original recipe. By the time I had finished developing the recipe it had nothing in common with the original Curt's Red Sock IPA, thus the Camp Randall Red IPA was born. When I went to purchase my ingredients I had to make even more last second adjustments based on hop availability. For this red IPA I wanted the beer to have the fruit flavor my last red IPA lacked. The Mosaic and El Dorado hops should provide that. I used six types of malt to give the beer a complex malt flavor. Pale ale malt is slightly darker than a standard 2-row base malt and will give the beer a little more color and malt backbone to stand up to the hops. Caramel 80 malt will provide color, sweetness, and hopefully fig or raisin notes. Small amounts of Vienna and Munich malts will add additional malt flavor and color while allowing me to use less caramel malts which can clash with hop flavor when used excessively. The Honey Malt and Special B were left over from Rundown Irish Red around and will hopefully give the beer a little something extra. The yeast selection was something I went back and forth on. The ubiquitous California Ale WLP001 (Chico) would have been a perfectly fine choice, but I wanted a more estery flavor. My original thought was to use Vermont Ale (Conan). It produces peach esters which would work well, and there was enough specialty malt in the grist that even with Conan's exceedingly high attenuation the beer hopefully would not finish too dry. In the end I decided to try American Ale II 1272 (Anchor Liberty). Although it will not produce as much alcohol as Vermont Ale, it does provide more complexity than Chico. The slightly lower attenuation will preserve more malt flavor. The fact it clears well was appealing because I decided I wanted the beer to be bright and clear, to really pop visually. There are entire forums online of people debating the merits of Chico vs. Anchor; I am excited to try it for the first time. I originally bought the Welkin Ringer ESB clone kit on a whim at Beer & Wine Hobby. It was the first time in awhile I bought a kit for a style of beer I was familiar with and had brewed before. I intended to do a side-by-side tasting of the clone and the real beer, but couldn't find any after putting a low to moderate level of effort in looking for it. On Untappd, it did not appear there were a lot of recent check-ins. The beer pours medium copper in color with a small, mousy white head. The low carbonation level contributes to the small head. To compensate this is a beer that benefits by being poured a little more violently. Instead of pouring along the side of the glass, pouring the beer in the middle causes the head to rouse. Not unlike how real ale is almost sprayed out of a beer engine. The beer has brilliant clarity for a beer that was unfiltered and is quite bright. The S-33 dry yeast gave the beer a perfect appearance. As I suspected the malt aroma is quite strong. The hop aroma is present and blends seamlessly with the malt. Overall the aroma is herbal, with notes of English tea and blackcurrant. The flaked maize provides a touch of sweetness up front. It helps cut through what would otherwise likely be an overly malty beer. The flavor balance is decidedly toward the malt. The English dry amber extract that came with the kit would have been made with crystal malt in addition to base malt. Most English Pale Ales will have some crystal malt, this beer I suspect has more than most. The aromatic malt took the malt flavor to the next level and made the beer distinctive. There are very light black licorice notes in the middle of the palette. There is enough hop bitterness and flavor to not make the beer a malt-bomb. Northern Brewer might be my favorite hop because it is so versatile. Its characteristic woody, almost minty flavor makes itself known. The beer also has a fruity flavor in the finish. S-33 might not have the unique esters of WLP023 Burton Ale, or finish quite as fruity as 1318 London Ale III, but the esters blended nicely with the caramel malt. I don't brew a lot of recipe kits, but this might be the best one I have ever brewed. It is a tossup between this and Northern Brewer's Speckled Heifer.With a couple of minor changes this recipe would make an excellent English Brown Ale. For an impulse buy I couldn't be happier. As a brewer I think it is important to not try and reinvent the wheel on every batch. Here, I brewed a beer with ingredients I never would have thought to include in an ESB. While making an excellent beer I gained valuable experience as a brewer.